A 48-year-old man is in custody Saturday after leading deputies on a high-speed chase that started in Poway and ended in Escondido, the San Diego County Sheriff's Department said. 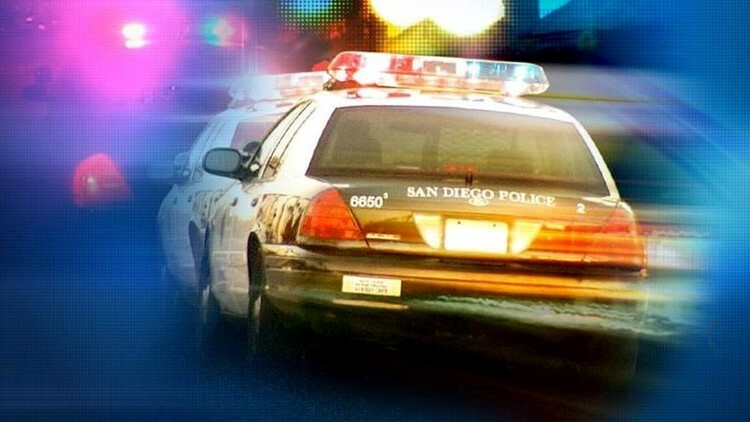 SAN DIEGO (CNS) - A 48-year-old man is in custody Saturday after leading deputies on a high-speed chase that started in Poway and ended in Escondido, the San Diego County Sheriff's Department said. Tracy Kendall, whose city of residence was unavailable, was booked into San Diego Central Jail on one charge each of auto theft and commercial burglary, the Sheriff's Department said. He was also treated at Pomerado Hospital for injuries after a San Diego Police dog bit him during the pursuit, Sgt. Brent Strahm said. At 2:30 a.m., deputies from the Poway station responded to a silent alarm activation at the Kohl's store at 12880 Gregg Court. Upon arrival, they saw three adult males running into the bushes outside the store, Strahm said. The subjects then got into an older-model Suburban and attempted to flee. A license plate check revealed the Suburban was stolen, Strahm said. Deputies began pursuing the suspects, with speeds varying between 30 to 90 mph near the store, located in a business park. At one point, the Suburban slowed near Kirkham Road as two of the suspects jumped out, Strahm said. Deputies continued pursuing the Suburban, but the two suspects fleeing on foot were able to access a silver Nissan Murano and drive away, Strahm said. Deputies pursued the Suburban through multiple jurisdictions, which led northbound on Interstate 15 through the cities of San Diego and Escondido, where speeds reached up to 100 mph, Strahm said. The pursuit continued southbound on Interstate 15 and ended at the on-ramp at Via Rancho Parkway, where Kendall allegedly fled on foot. Patrol units and K-9 teams from the San Diego Police, Escondido Police and the San Diego Sheriff's departments assisted in apprehending Kendall, who was taken into custody after a police dog located him hiding in bushes near the freeway, Strahm said. Stolen property from the business was found inside the recovered Suburban, Strahm said.